Monday August 20, 2018 - National Assembly Majority Leader, Aden Duale, has called on the Judicial Service Commission to investigate the Chief Kadhi for contradicting Interior Cabinet Secretary, Fred Matiangi, on Idd-Ul-Adha celebrations. CS Matiang’i had declared that Idd-Ul-Adha will be commemorated on Tuesday, August 21st as a public holiday through an official Government Gazette notice. However, the Chief Kadhi faulted the directive insisting that the holiday ought to be marked the following day, Wednesday, August 22nd, drawing the irk of the Majority Leader. 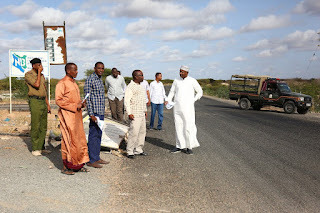 According to Duale, Sheikh Ahmed Muhdhar had largely expressed abuse of office and that his sentiments had the capacity to cause huge splits among the Muslim faithful. He vowed to lodge a complaint to the Judicial Service Commission to have Ahmed investigated. “We shall send a petition to the Judicial Service Commission to discuss the conduct of the Chief Khadhi for abuse of office in the discharge of his duties as provided in article 170 of the Constitution of Kenya 2010,” Duale said.